Etan Cohen understands better than the overwhelming majority of Hollywood’s ink-stained script jockeys that landing the biggest job of your career can be both a blessing and a burden. 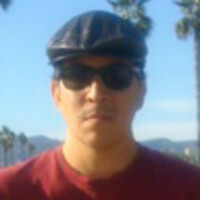 He is, after all, the up-and-coming scribe who scored a splashy payday to write Men in Black 3, the Will Smith–starring action-comedy that was infamously rushed into production in 2010, even though Cohen’s script was still considered “unfinished,” in order to snag the world’s biggest movie star before he signed on to a competing blockbuster. During a three-month hiatus in filming on MIB3, Cohen went off to work on another project. He wound up sitting silently by while a revolving squad of A-list script doctors was brought in to salvage his screenplay—a real-life drama that was played out for giggles and schadenfreude in the Hollywood trade press and threatened to become a career liability for Cohen. But once those writers failed to finish the job, he was brought back to the project only to find himself caught in the middle of a creative crossfire, trying to accommodate competing mandates from Smith and MIB3 director Barry Sonnenfeld, as well as studio executives and the movie’s outspoken producers, Walter Parkes and Laurie MacDonald. Over Memorial Day weekend, MIB3 took in $203.2 million worldwide, topping the box office in 104 countries and finally displacing the blockbuster superhero romp, The Avengers, from the top spot after its three-week run as the No. 1 movie in the world. And Cohen, 38, has emerged from the MIB3 production rubble as one of Hollywood’s fastest-rising talents. He’s sanctified not only by the three-peat of back-to-back-to-back film hits he wrote—MIB3, the animated smash Madagascar: Escape 2 Africa, and the 2008 military movie farce Tropic Thunder—but also he's finding a new measure of respect inside studio corridors as the comedy hotshot who can “do” edgy and action as well as mainstream kids’ flicks (not to mention demonstrating an ability to keep cool where lesser writers would have buckled under with post-traumatic stress disorder). Now, with several big-budget franchise films in the offing—a comedic adaptation of Sherlock Holmes to star Sacha Baron Cohen and Will Ferrell among them—Etan Cohen is following in a time-honored pattern for rainmaking screenwriters. Like Joss Whedon and Cameron Crowe before him, Cohen has parlayed his writing prowess into a feature-film directing debut; he’s set to bring the genre mashup Boy Scouts vs. Zombies to the screen for Paramount’s Nickelodeon Movies division. It’s certainly not the first—or even the 12th—description that leaps to mind when you meet the mellow, down-to-earth screenwriter, who was born in Israel in a devout Orthodox Jewish family and comes off more like a mild-mannered tax attorney than some Maserati-driving movie macher. He discovered his comedy affinity scribbling jokes into the margins of his Talmud while at Yeshiva, and matriculated at Harvard, majoring in Yiddish, after his family relocated to Boston. Impressed by Idiocracy, Ben Stiller enlisted Cohen to write the screenplay for a long-gestating project making fun of self-serious Hollywood actors who run amok while shooting a military movie thriller. Co-written by actor-screenwriter Justin Theroux, that project became 2008’s Tropic Thunder and went on to gross more than $188 million worldwide. For his part, Cohen was personally responsible for creating the movie’s most memorable presence: Robert Downey Jr.’s character Kirk Lazarus—a deluded Australian method actor who has his skin surgically darkened in order to portray an African-American army sergeant named Lincoln Osiris in the film’s fictional platoon. And in an outcome that would have been too far-fetched even by the standards of Hollywood’s most tweaked writers’ room, Downey was nominated for a Best Supporting Actor Oscar for his turn. In 2008 Stiller again tapped Cohen to write the screenplay to the sequel of his blockbuster animated movie, Madagascar, which became a global smash, raking in more than $600 million. And Cohen won the writer-of-the-year award at Montreal’s acclaimed Just for Laughs festival the following year. Soon Sony was knocking on his door about resuscitating the Men in Black franchise, which had been dormant since a poorly reviewed but immensely lucrative 2002 sequel. According to several sources close to MIB3, Will Smith was responsible for numerous production delays on the most recent installment of the franchise, caused by his persuading director Barry Sonnenfeld to bring in outside script doctors including David Koepp, Jeff Nathanson, Michael Arndt, and Mike Soccio, who worked and reworked and then trouble-shot and further refined Cohen’s original screenplay to the tune of untold millions of dollars. But toward the end of filming last spring, the filmmakers apparently rethought their decision to bounce Cohen and brought him back onto the shoot. The writer continued to revise the script on set, churning out drafts that had an almost Sisyphean task: to pass muster with the studio, the director, and producers, as well as Men in Black’s notoriously exacting star. While MIB3 box-office receipts continue to blow in from across moviedom, Cohen has kept busy writing a well-received series of satirical “screenplays” satirizing politics and media for The New York Times Magazine. And he has begun supervising the script of Boy Scouts vs. Zombies, the coming-of-age-thriller-genre mashup Cohen will direct for Nickelodeon Movies. “Our inspirations for it are the great Amblin movies: Goonies and Gremlins,” Cohen said before elucidating the film’s personal resonances.